Anyone uses the chords on BM3 ? I ask because on first times I found it cool but now I find it unusable. The chords are defenetly not progresssion so there is no musicality playing with it on live and that’s a big mess. Recently I bought Captain chords from mixed in key and that is what we need. And not a placebo that is useless. So much potential not correctly used ..
What is unusable about it ? You pick a scale, pick a chord type, they are on pads\keys. I mean ok, I understood how to use pads/keys, I talk about chord progression. When you use chord on BM3, for exemple harmonic major 7th, if I hit pads, I only thanspose the key of this specific chord. In BM3 you have the possibility to choose chords and scales but one by one and write it like mathematics on you song mode you can’t play progressions on the fly. 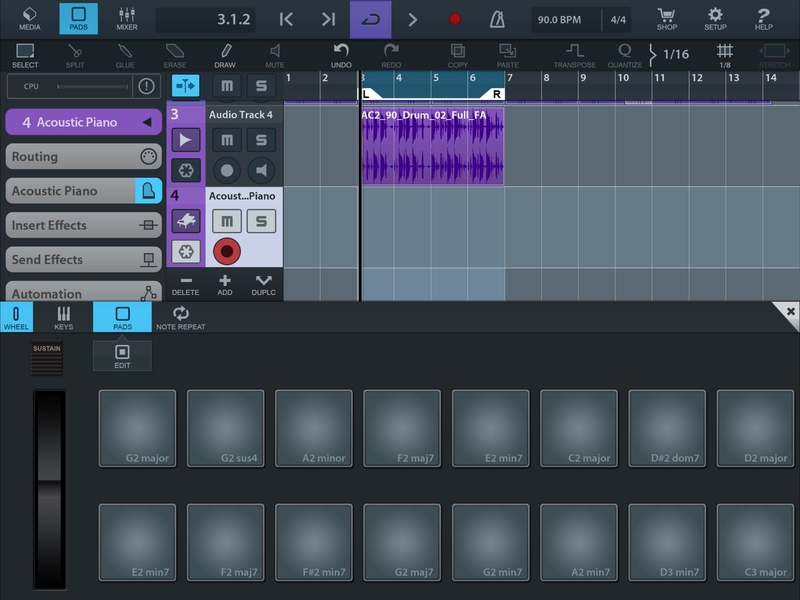 This fondamental tool is present on garage band and cubasis since the beginning. What is present on BM3 is unsusable in therms of musicality and #workflow, each time I use this app a feel so much frustration because all the possibilities are there an not exploited on the good way. Sometimes I ask myself if Intua uses his own app... They are good programators but poor musiciens. Sorry for that but a DAW without arpegiator, let me smile. Just wanted to let you know you're not alone with this frustration. For many 'beat makers'* being able to jam major or minor7 chords across the keyboard is all they ever need.. but there are some of us out there who want more sophistication from the chord mode, and the possibility to build more complex progressions with Sus chords, dom7/9, inversions, changing the root etc. In my mind there are 2 possible solutions..
BM3 adds the option to 'record chords' to the midi pattern, instead of just applying the chord live to whatever root note is played. If this feature were added —btw, this is how chords work in Korg Gadget— then we could loop-record a 4-bar phrase and then build the progression over multiple takes. For example, set major mode and record a few I and V chords, then switch to minor and record some in-between chords, then go and edit the midi pattern for fine-tuning and re-voicing certain chords for better phrasing. Somebody (BramBos?) 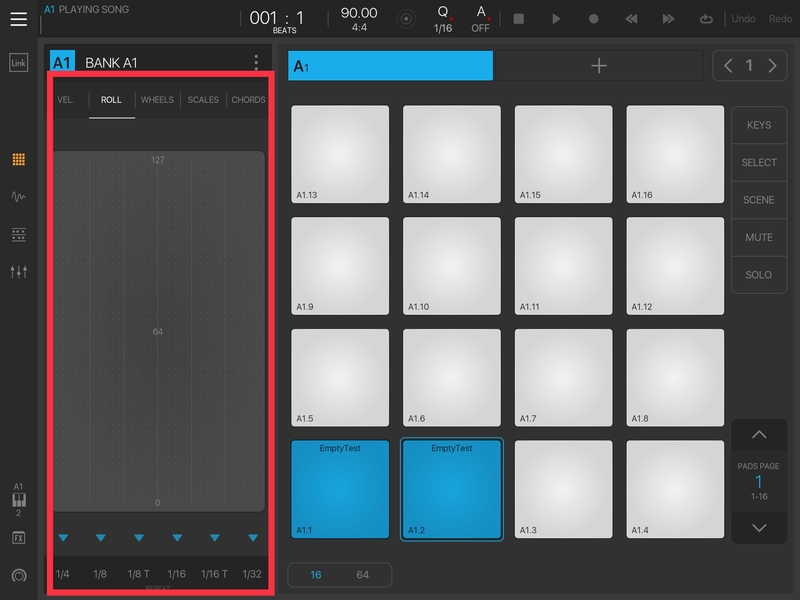 builds the most awesome Chord progressions AUv3 midi plugin, that would allow things like you see in the desktop 'captain chords' or perhaps even better, just like Reason 10's new chord assist player plugin. Just windering how many of the chord apps on IOS will be made in to AU MIDI this year, seems a no brainer for more sales. Agreed to some extent... what they've accomplished in many areas is phenomenally complex, (things like AU midi and focus actions and step modulators etc etc) but the backwards piano roll and the kooky behaving zoom controls are still the number one reason I haven't written a song in BM3 yet. I've made dozens of suggestions. The app continues improving but sadly for some of us not ways that we fundamentally care about. Are you judging developers and all the work that has been done so far with this statement? I find a lot of things useful in BM3. You are fine I just didn't understand what isn't useful. Chords and scales have certain limitations currently. There is so much to BM3 that all planned features and/or requests cannot be solved with such immediacy. The app is only shy of 7 months old and we have a whole lot of functionality here in BM3. Chords and scales are useful in BM3. But if your looking for more functionally, I suggest supporting devs of plugins. Many work well in BM3 and it strengthens this whole concept of mobile music performance and production. 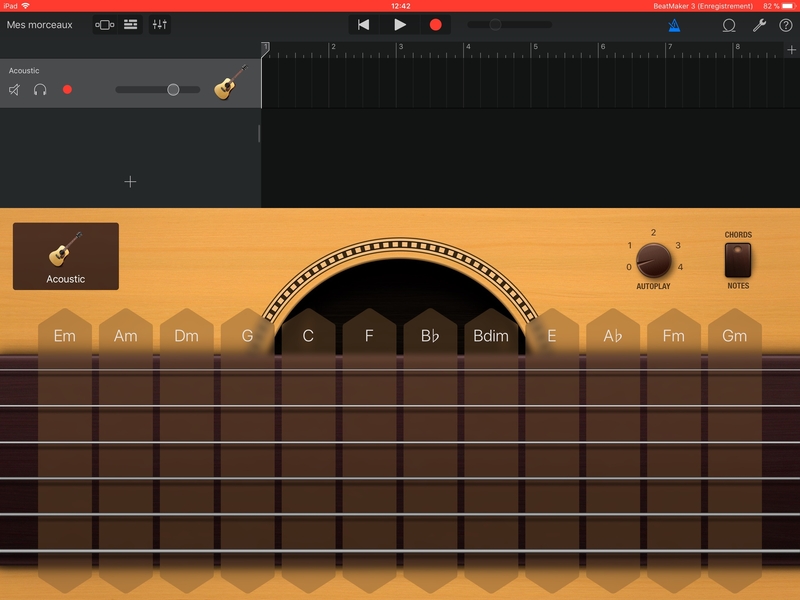 @znomusic you can build a polophony instrument using a single pad or using linked pads with separate samples and trigger your chord progressions from the chords/scales window this way. They play out correctly but makes a progression kinda weird and difficult which is why everyone is complaining as the chords progression and scales aren’t fully baked into keys mode or multiple pads. Use link groups. Each pad can set the scale and or chord independently per pad. In my opinion, what we need is bank independence for this section of BM3. The screen kinda implies this when you switch banks. Linked pads have root key independence. Chords and scales have independence. When you link them you can build chords and scales regardless of keys mode or with. Chords and scales are based on how much polophony you are using with your samples. Use existing layers and or multiple pads and build a chord army. It's always been there, but doesn't function like users would like it to. Chords and scales by themselves are only good for live play until you link them and use resampling after you've created your patterns. In French we use to say : qui aime bien, châtie bien. But gladly spend my money for more options in app in purchase. @LucidMusicInc I apologize. Have I made the situation more complex? I tend to do that quite a bit. I'm only assuming I did based on the straight faced emoji. No ”DAW” on iOS has an arpeggiator! BM3 should add rootenote to the scales menu so that the footnote can be changed to make chord progressions. I sometimes use this technique in Gadget. I wrote the dev. Sounds like he's already thinking of making an AU midi plugin for this. It would be a new separate app. very cool =D personally, I just wish I could use the current app in slide-over mode. I was hoping it could, since there's a screenshot of it in a splitscreen view, but no slide-over. 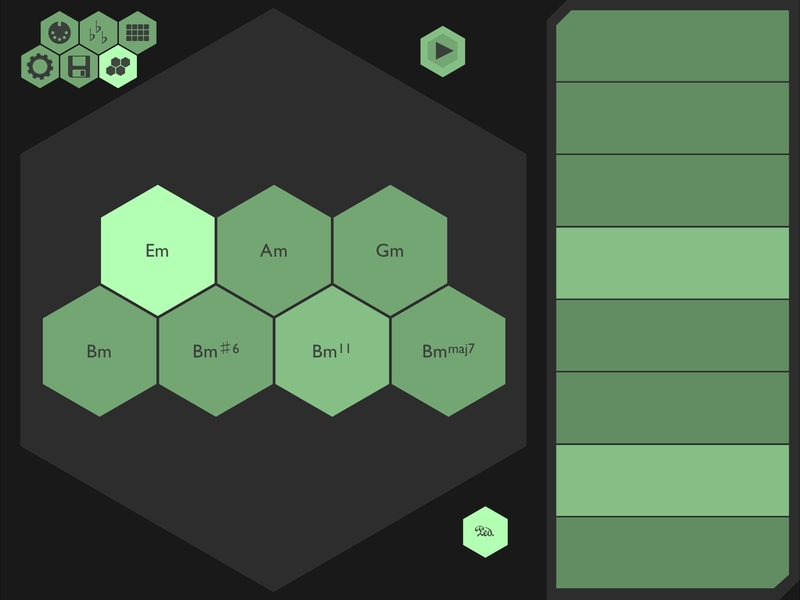 =( I keep thinking a slide-over ready custom midi controller app would be so sweet. I think TouchOSC could become relevant again if they allowed this. I'm just getting around to teaching myself chords and some basic music theory... If I knew more, I might be about to use BM3's built in chord/scale stuff better.. BUT... between these two tools, I am able to work out chords/progressions, in-key melodies/bassline... it's pretty awesome..went through a lot of tries to find an app that did everything I needed (filtering out keys, hardware input, clear progression suggestions...).. Tried chord poly, navichord, chordion... all had either to steep a learning curve for me or lacked important features. might work for you, OP? Only issue. Sending midi directly from ChordBud causes BM23 to freak out emitting a drastic horrible sound that midi panic won't stop... only shutting down BM3 stops it. I was very discouraged but came up with this work around: use midiflow as an intermediary... easy setup... just send ChordBud to midiflow and midiflow out to BM3 instrument. Working great so far. ChordBud also has a 16 track timeline for building progressions/melodies, and each track can be assigned to an individual midi ch... Just got it yesterday, so I need more exploration time, but has been working great for me!